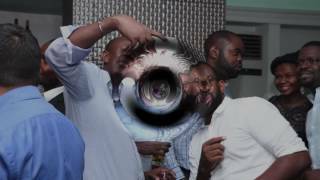 Mobile West Africa 2017, described as “a must-attend for every industry trouper” (Fiyin Williams, Guinness Nigeria) and “the best conference in the region” (Riccardo Pasqualotto, The Mobi Hunter), will take place on 17th & 18th May at The Wheatbaker Hotel in Ikoyi. MWA2017 (the 7th edition of the leading technology event in the region) is going to be a 2-day hold-on-to-your-hats rollercoaster ride through the next stage of mobile industry development. This year MWA will feature 4 of the leading technology “doers” on the continent – Erik Hersman (BRCK), Jason Njoku (iROKO/Spark), Chika Nwobi (L5Lab) and Justin Spratt (Uber) – in a conference session not to be missed. 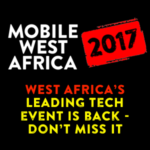 Full details can be seen at http://mobilewestafrica.com/2017/ and VC4A members can claim a 25% discount on tickets using code MWAVC4A.